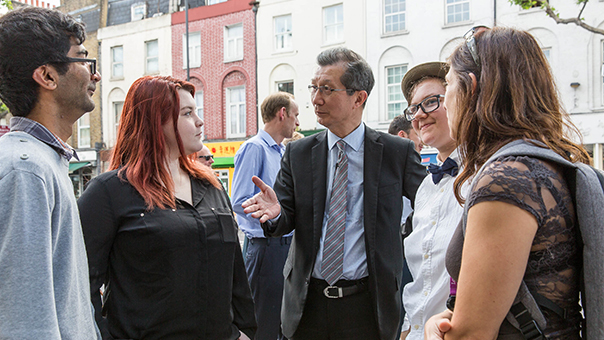 A student-led creative technology project has joined two of the largest global cities together across the Atlantic with an on-street virtual portal. 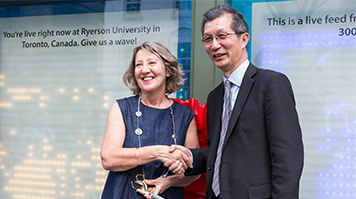 London South Bank University (LSBU) and Ryerson University in Toronto yesterday launched the Live Portal, which captures live movements in one city and responds with a visual interpretation in the other. Essentially, a dance or a wave in London, will be seen in lights 3500 miles away in the centre of Toronto. The Portal was simultaneously unveiled by the universities, which have been partnered for more than a year through the School of Arts and Creative Industries at LSBU and the Faculty of Communication and Design at Ryerson. 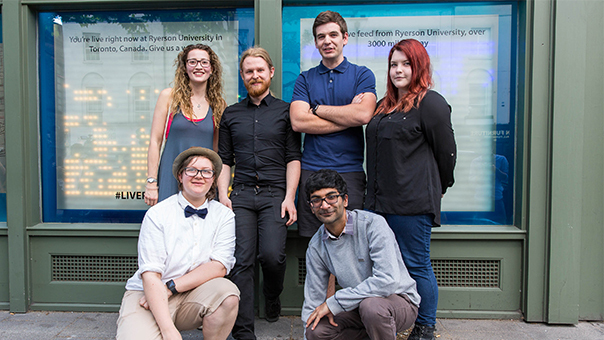 Students originally competed for the opportunity to create the Portal, submitting their own design in groups to fulfil the brief to connect London and Toronto in a way that represents communication, cultural identity and diversity. A group of nine students from both universities worked on the final design, covering varied disciplines from engineering, design, arts, media and business. 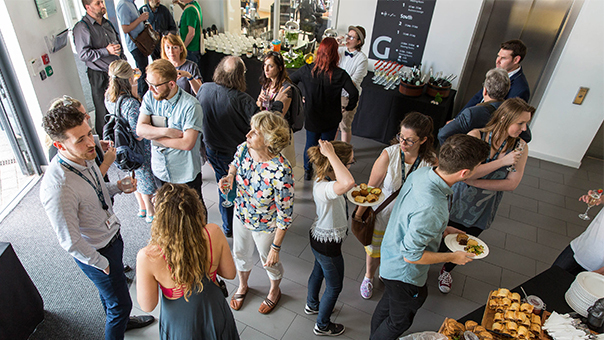 Dean of LSBU’s School of Arts and Creative Industries, Professor Janet Jones, was in Toronto for the launch and said she was incredibly proud of the achievements of the students and supporting staff, who worked tirelessly for the past three months to create the Portal. 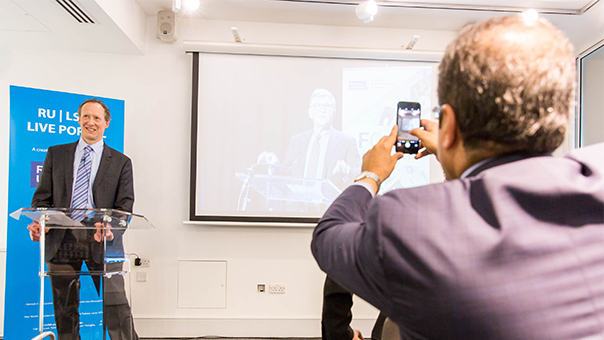 “When I began my job at LSBU, I immediately was reminded of my time as a student at Ryerson because it occurred to me how in many ways, Ryerson was a mirror image of LSBU,” Prof Jones said. Final-year Engineering Product Design student Hannah Cohn said the project had offered many opportunities to learn new skills that would benefit her as she entered her career. 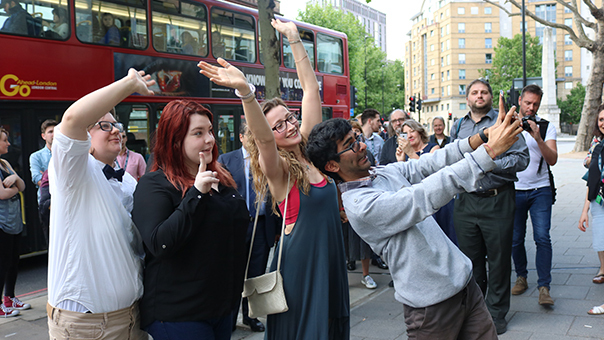 The public is invited to interact with the Live Portal, which is at the Clarence Centre for Enterprise and Innovation, 6 St George’s Circus, and will be live until the end of June.